China's notorious crackdown on internet activity has resulted in the arrest, imprisonment and interrogation of people posting over Twitter, according to the New York Times. A growing number of users who have been using the blocked platform through Virtual Private Networks (VPNs) have been swept up in a sharp escalation of Beijing's censorship effort, as authorities tighten their grip over Chinese citizens' online lives. There are an estimated 3.2 million Twitter users in China - or around 0.4 percent of those who use the internet. "If we give up Twitter, we are losing one of our last places to speak," said human-rights activist Wang Aizhong, who said the police told him to delete messages critical of the Chinese government. When he wouldn't, 3,000 of his tweets mysteriously disappeared. Mr. Wang refused to take down his tweets. Then, one night last month while he was reading a book, his phone buzzed with text messages from Twitter that contained backup codes to his account. Wang's experience is far from unique - as The Times reports that one Twitter user spent 15 days in a detention center, another person had their family threatened, and "a third was chained to a chair for eight hours of interrogation." Beijing's war against internet freedom reveals its vision of internet control over the user of social media - while the CHinese government has stepped up their demands that Google and Facebook take down content deemed offensive despite the fact that both companies' sites are blocked in China. What's more, Facebook and Twitter suspended the accounts of exiled Chinese billionaire Guo Wengui after he used the platforms to criticize top Chinese leaders. The companies cited user complaints and the disclosure of personal information. And while people in China are prevented from using American social media platforms, Beijing has been more than happy to use them to spread news through outlets like the Communist Party-controlled People's Daily newspaper and the Xinhua news agency. "On the one hand, state media takes advantage of the full features of these platforms to reach millions of people," said Sarah Cook, a senior analyst covering East Asia at the pro-democracy DC think tank Freedom House. "On the other hand, ordinary Chinese are risking interrogation and jail for using these same platforms to communicate with each other and the outside world." Meanwhile, what few foreign platforms are allowed in China have acquiesced to Beijing's demands for censorship. LinkedIn, the business networking service and one of the few American social media outlets allowed in China, has long bowed to the country’s censors. It briefly took down the Chinese accounts of Peter Humphrey, a British private investigator who was once imprisoned in China, last month and Zhou Fengsuo, a human-rights activist, this month. The company sent emails to both containing language similar to the messages it sends users when it removes posts that violate censorship rules. 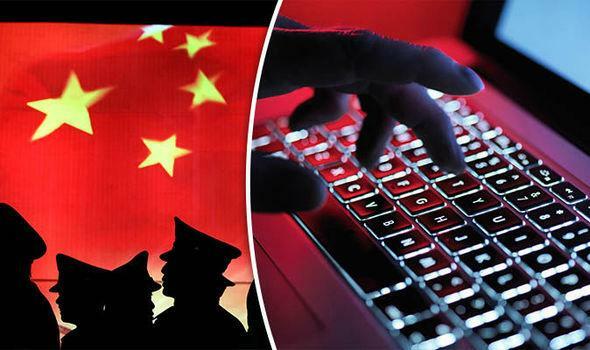 According to nine interviews with Twitter users questioned by Chinese police as well as a review of a four-hour interrogation revealed a similar pattern: "The police would produce printouts of tweets and advise users to delete either the specific messages or their entire accounts. Officers would often complain about posts that were critical of the Chinese government or that specifically mentioned Mr. Xi," according to The Times. Users say the police used threats and sometimes physical restraints. Activist Huang Chengcheng, for example, who has over 8,000 Twitter followers, said his hands and feet were manacled to a chair while he was interrogated for eight hours." Another user, 47-year-old Pan Xidan shared a comic with his 4,000 followers drawn by a dissident cartoonist known as Rebel Pepper, and criticized human-rights crackdowns. This earned him 20 hours of questioning, and Pan was forced to delete several tweets. Then, police showed up to his workplace and tossed him in a car, after which he was forced to sign a document that said he had "disturbed the social order." He signed it and was then shown a second document which said he would be detained - after which he spent two weeks in a cell with 10 other people for "reeducation" via propaganda videos. "In this era, we certainly know fear, but I can’t control myself," said Pan - crying during a telephone interview with The Times. "We’ve been living a very suppressed life." "We’re like lambs," Pan added. "They’re taking us one after another. We have no ability to fight back." The crackdown is unusually broad and punitive. When censoring domestic social media in the past, officials have targeted prominent users. People were questioned or detained less frequently and more haphazardly. The current push appears to be well coordinated between local and national law enforcement authorities, said Xiao Qiang, a professor at the School of Information at the University of California, Berkeley. “Actually taking nationwide action, physically calling in all of these people, we’ve never seen that before,” he said. Chinese police have told activists that they can see posts made outside China's great censorship wall. "Delete all your tweets, and shut down your account," an officer told one Twitter user after a four-hour grilling. "Everything on the internet can be monitored, even the inappropriate comments in WeChat groups," he said. "This is truly wholehearted advice for you," added the officer. "If this happens a second time, it will be handled differently. It will affect your parents. You are still so young. If you get married and have kids, it will affect them."